Don't have my guide with me, but I have you guys!!! 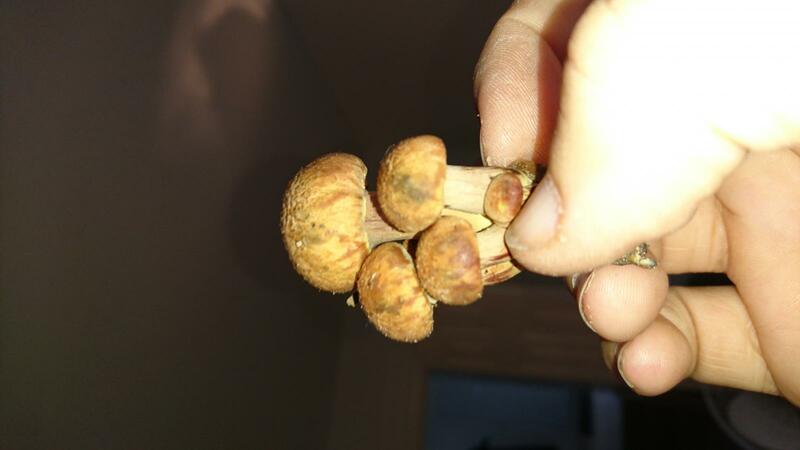 Any idea? 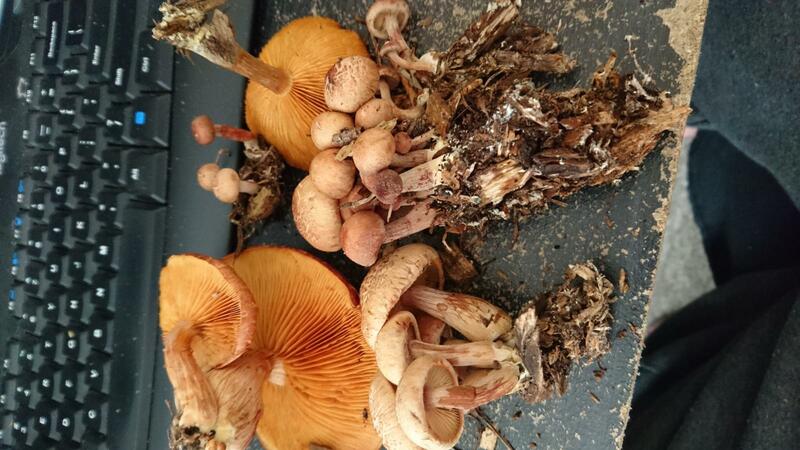 On wood chips, in bunches, reddish orange spores and gills, stype is thick but short, and the caps vary from 2-6 inches. Gonna get my book and check, but I have never seen these before, so I wanted to get opinions. Edited by OldAndMiserable, 12 October 2018 - 03:02 PM. 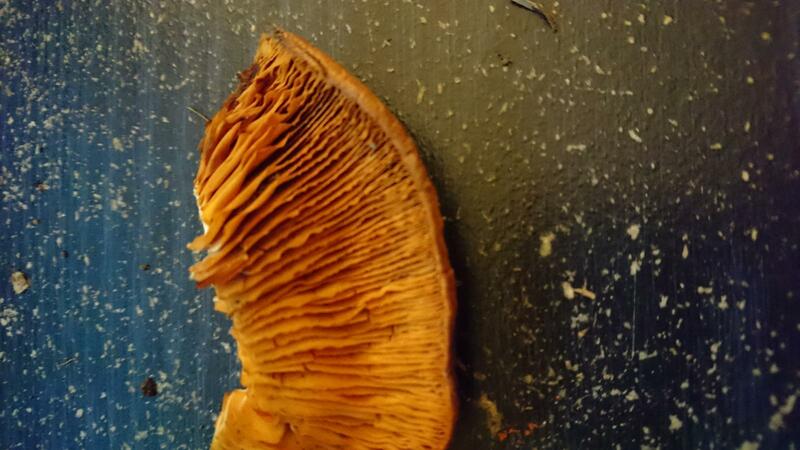 Looks like Galerina of some sort to me. Beware. 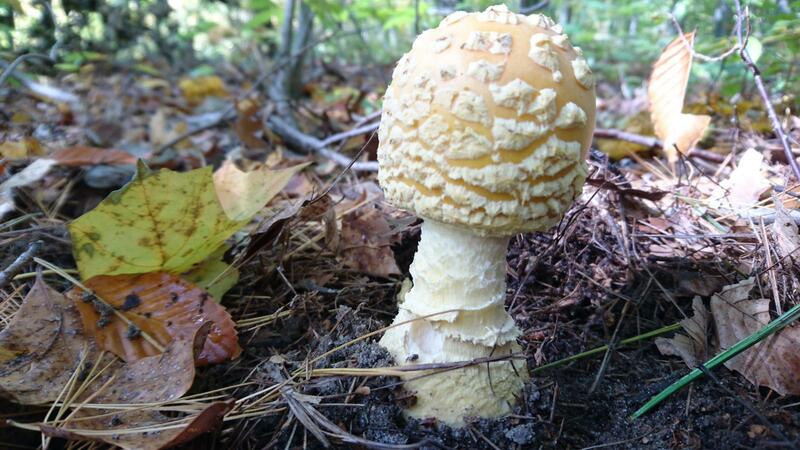 Probably very poisonous. 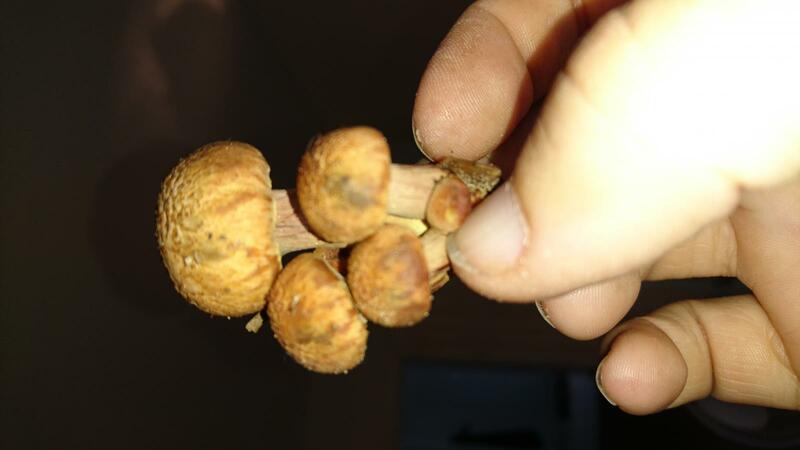 I wanted to bring them home (stupid mushroom madness), but when I picked one up and my hand was covered in orange-red spores, I was reminded of a video I watched that said rust brown spores were a bad sign. 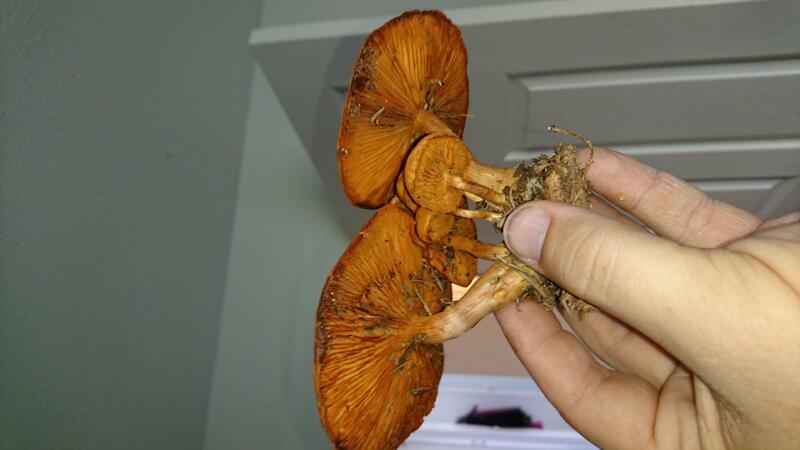 They were pretty cool looking, tho! Edited by Sicshroom, 13 October 2018 - 07:35 AM. I'm gonna go get a few and see if I can document them better here. 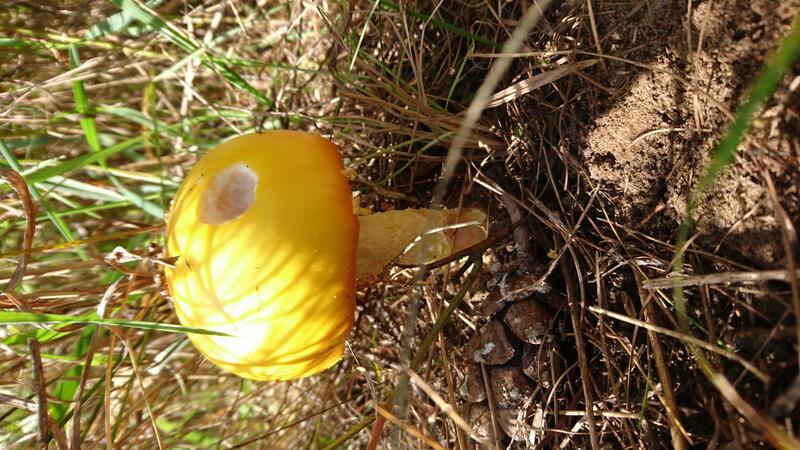 I looked thru my guide and came to a similar conclusion, Sicshroom. 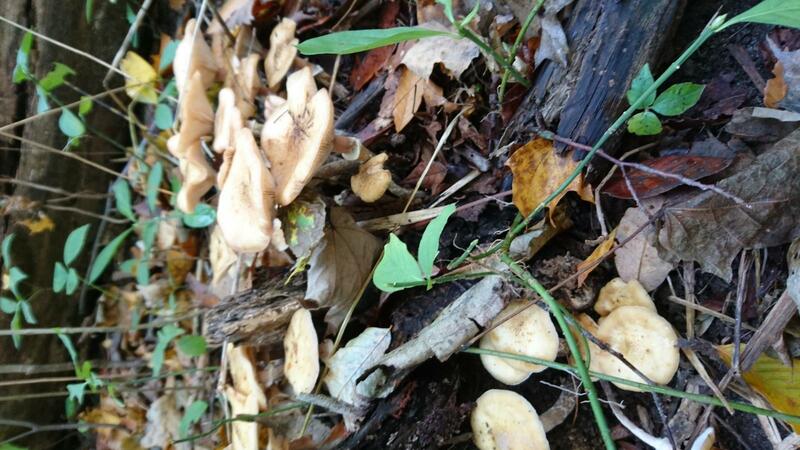 So, my venture out to get a sample of the mushroom from above turned into a 3 hour tour that took me into the woods. 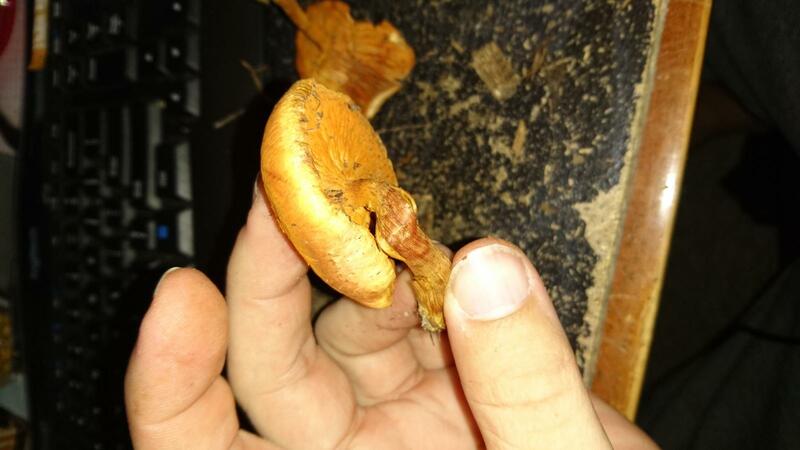 Here's what I found! 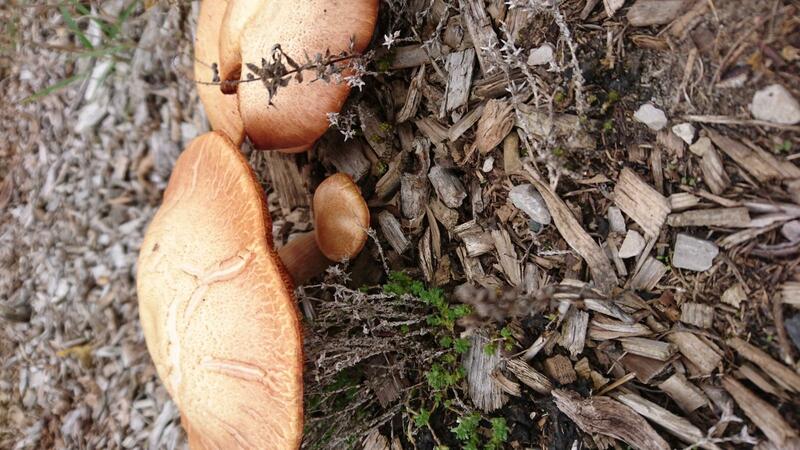 I brought a few home, and the spores are definitely rusty orange. Can't seem to find anything in my guide, but I will check again and search about online. I also came across a bunch of awesome stuff! 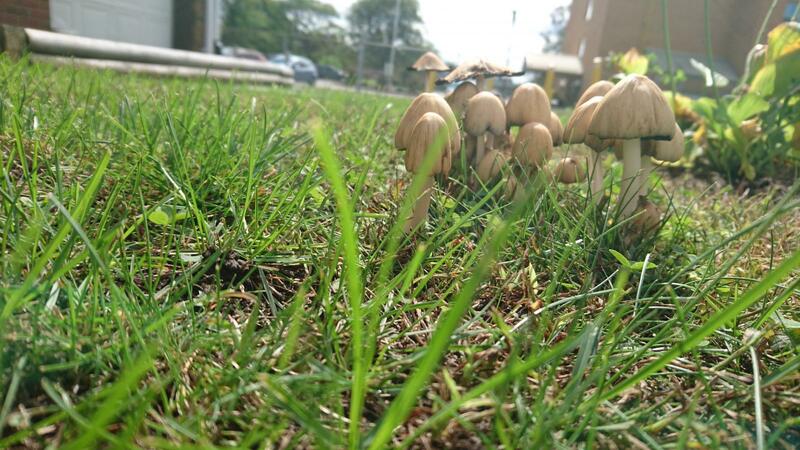 These were around a small tree stump. 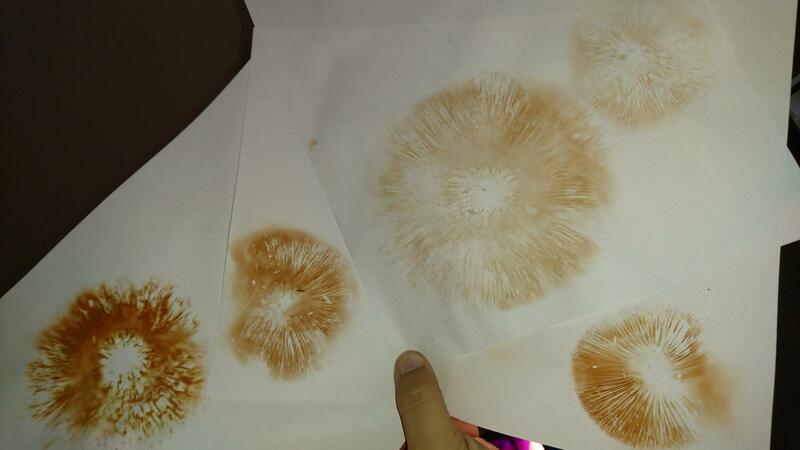 Spore print is white, caps are anywhere from 2-3 inches, thick stype with gills attaching. I just can't say no to these guys!!! I still claim a designation of var. Guessowi with these (I check every time). Any help that can be offered would be greatly appreciated!! From my front yard... I like how this turned out! 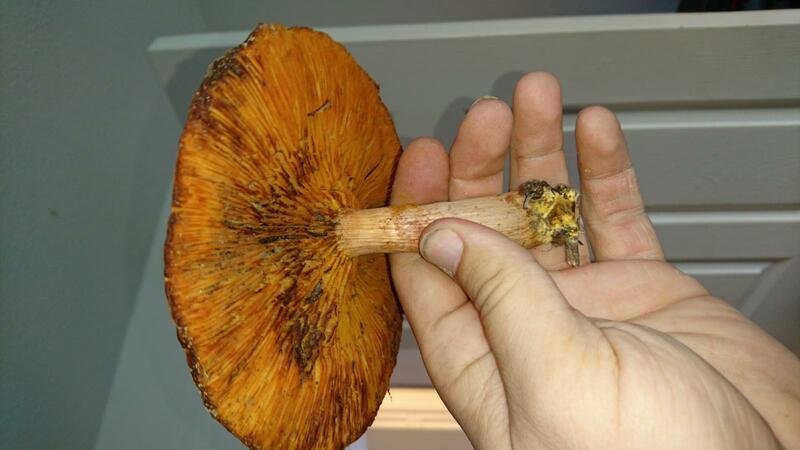 The possible Gymnopilus, do they bruise greeny blue? They don't seem to, sadly... they do feel dry; would that have something to do with it? 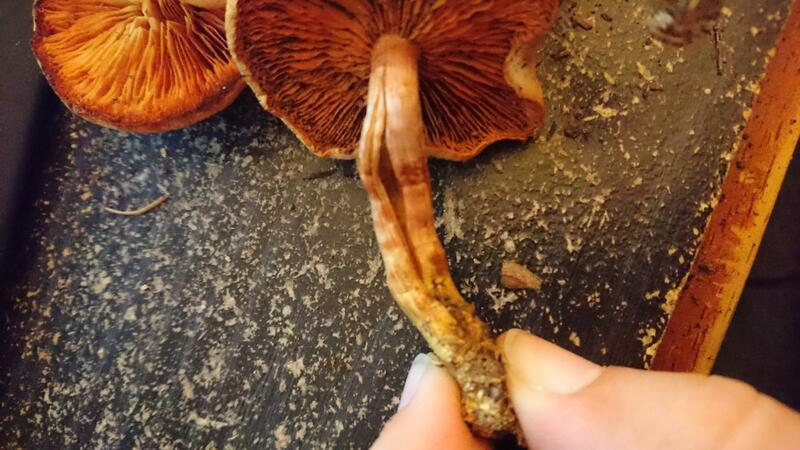 Looking at pics of the deadly Galerina and the Gymnopilus, the gills look more spaced out on the Galerina... Am I really this lucky? 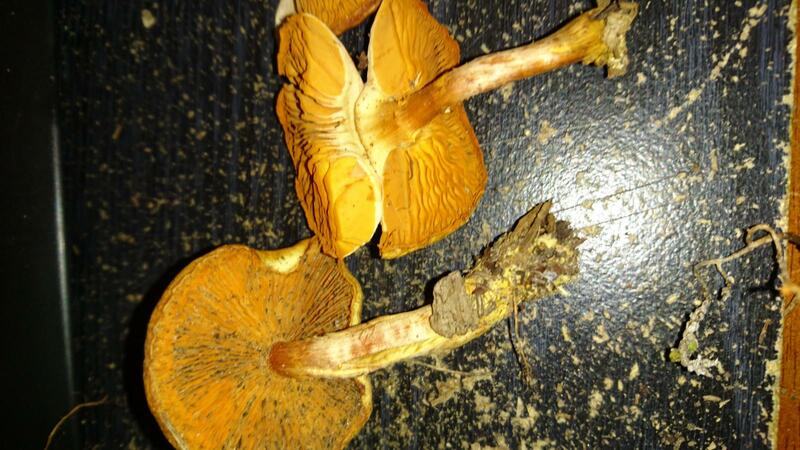 "They are a particularly beautiful mushroom, the tannish type color and striking rusty orange spore print. Right before the veil is fully open they are really remarkable looking. 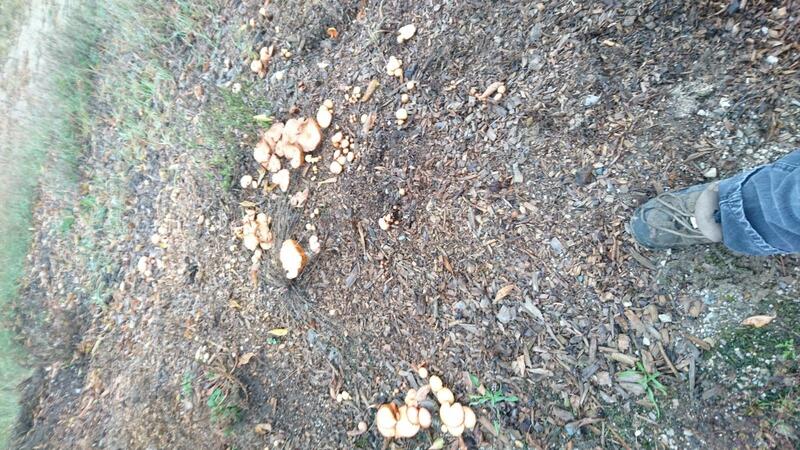 After that they kind of look rough, much reminding me of some of the saprophytes like pholiota. Before they get old, the cap reminds me of kidskin." Edited by OldAndMiserable, 13 October 2018 - 06:01 PM. 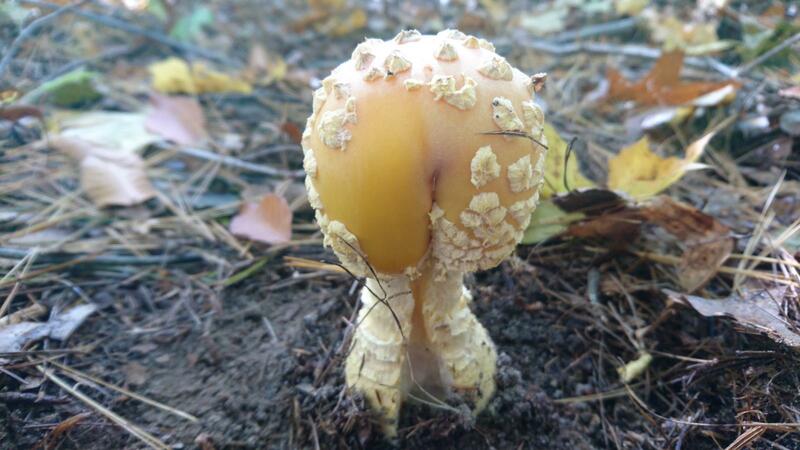 Amanita muscaria var. 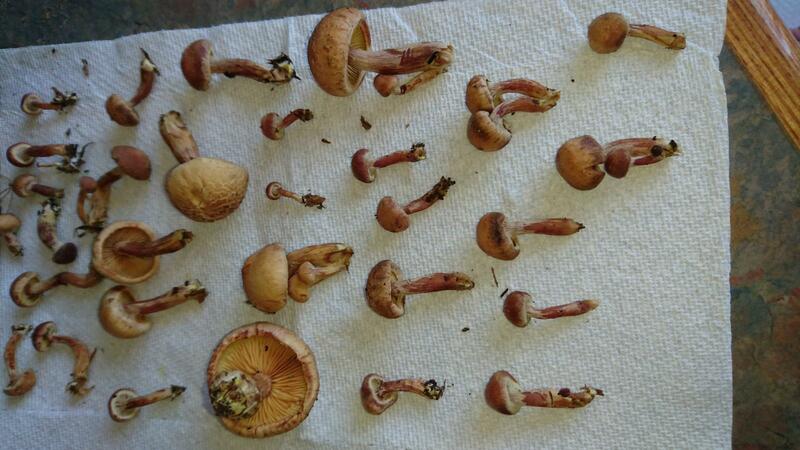 guessowii would be my guess we have them here in the Eastern shore of Maryland but I haven't tried them. 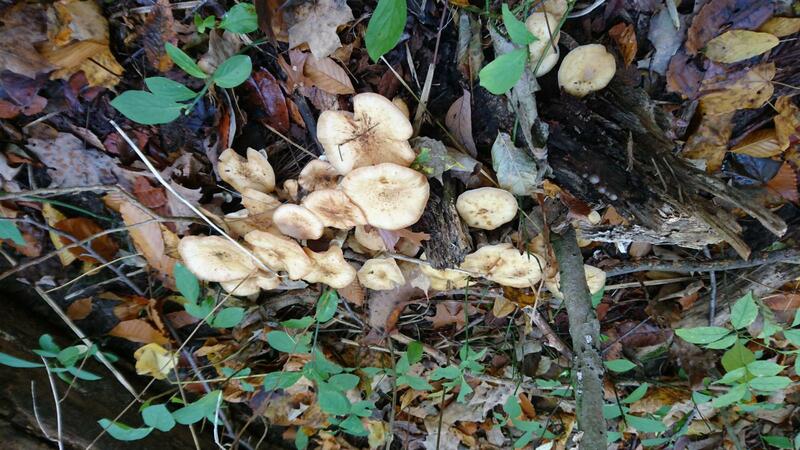 These could be a type of Honey Mushroom, especially if they were growing in clusters from wood or near wood. 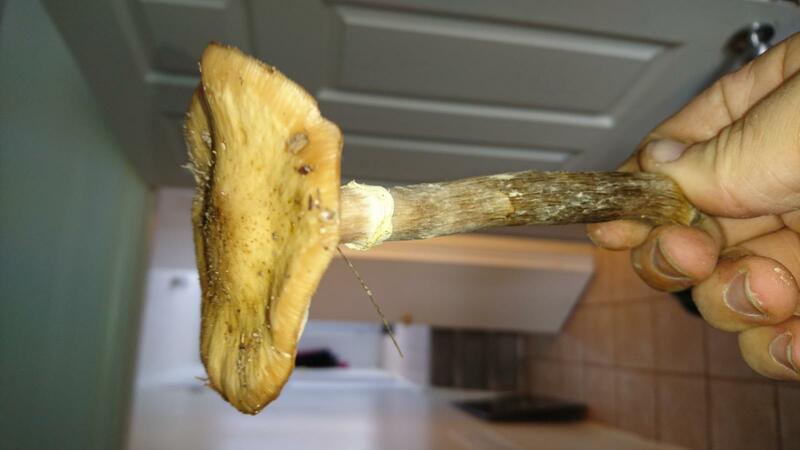 Honey mushrooms have white spore prints and partial veils left behind on the stem. 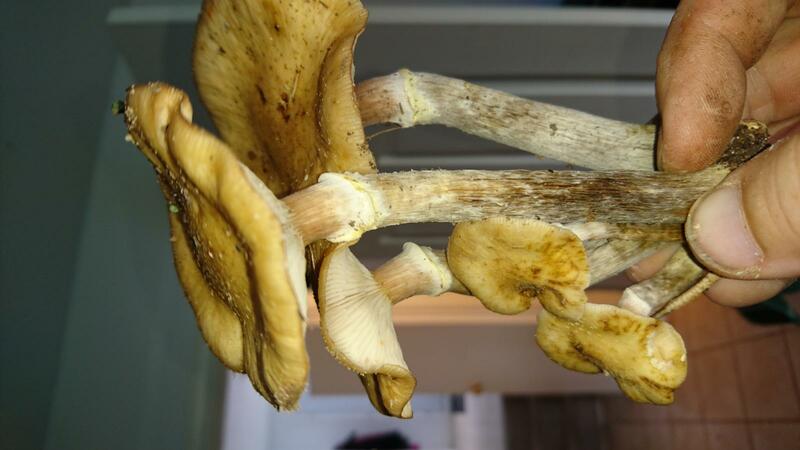 I watched a video about how to identify Deadly Galernia when looking for honey mushrooms. 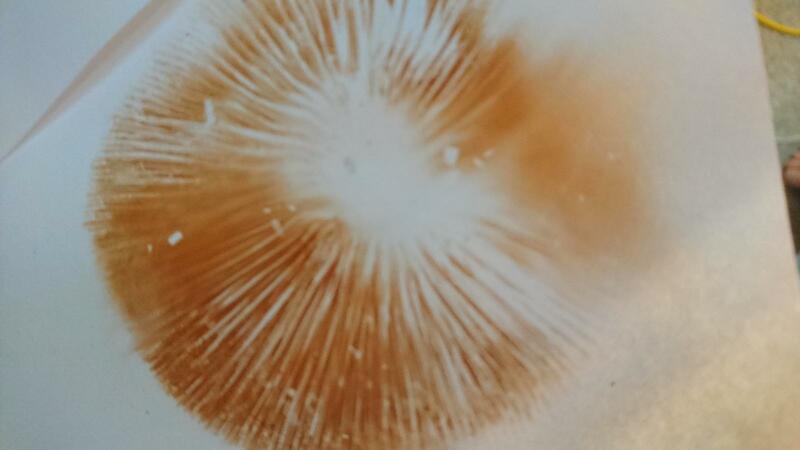 The red to pink spores were one of the characteristics they mention. I am sure that the color can change as they age. 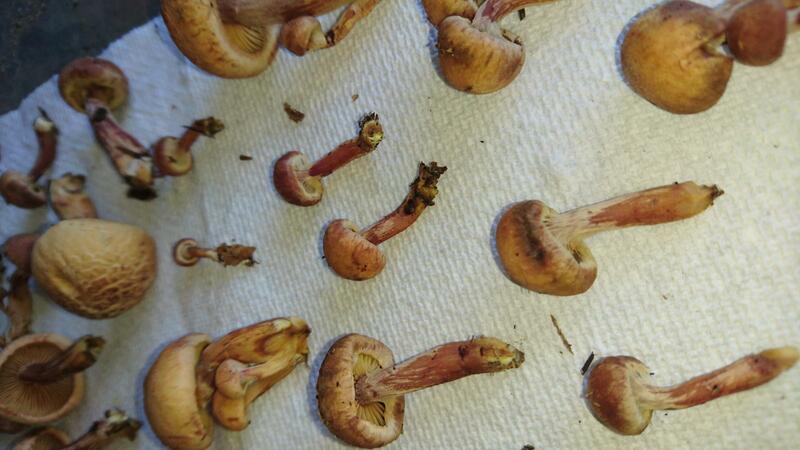 Some of those look pretty reddish to me. 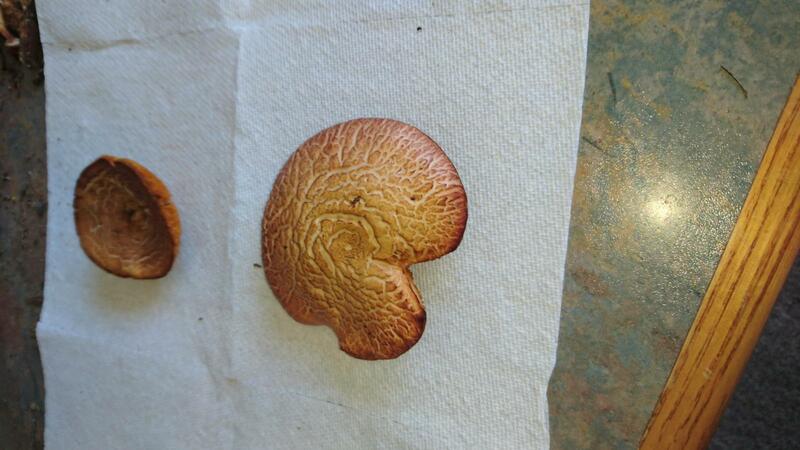 Honey mushrooms have white spore prints. Brought home some more... 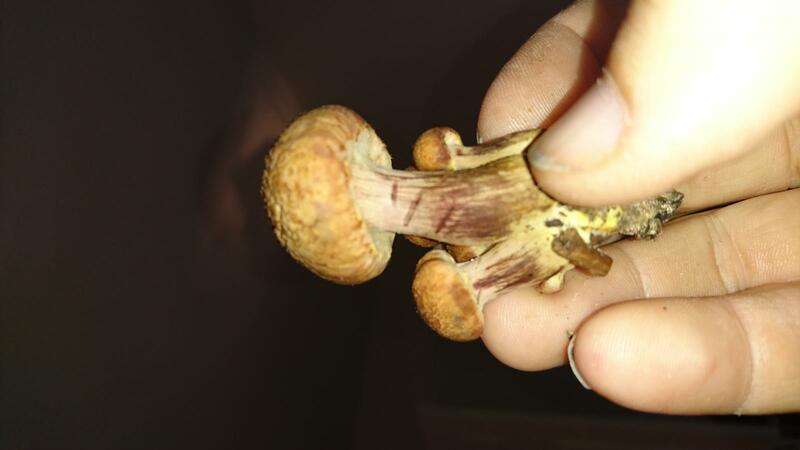 I'm getting more and more sure that these are Gymnopilus Junonius... All the signs are there... Can I get some thoughts? Edited by OldAndMiserable, 16 October 2018 - 10:28 AM. You've been really great at providing photos!! 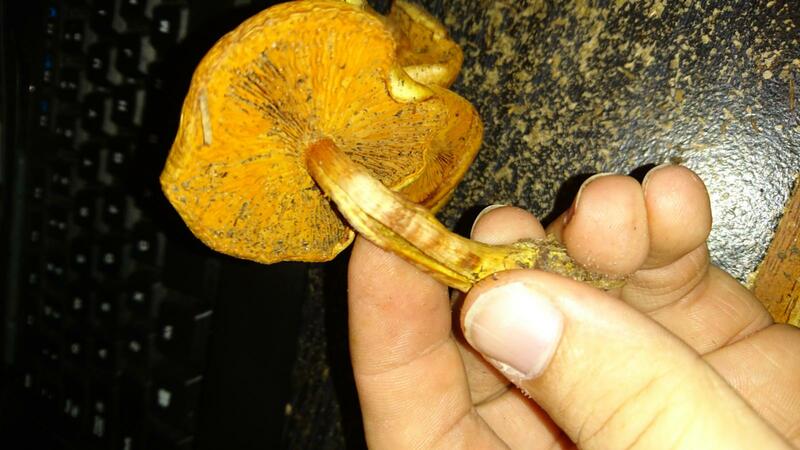 Way to go in snagging a spore print. 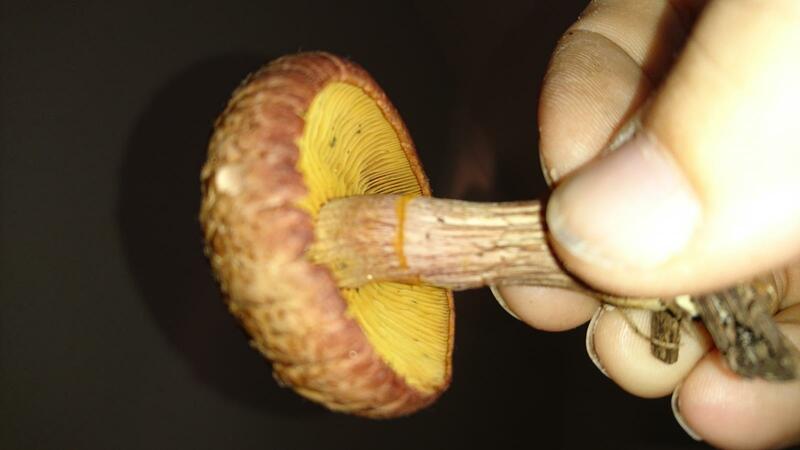 Can you remove a cap from a stem, lay it on its head, and photograph the gills with a nice, still, steady, close-up of the gills? Make the cap take up the whole image frame. Get close-up. 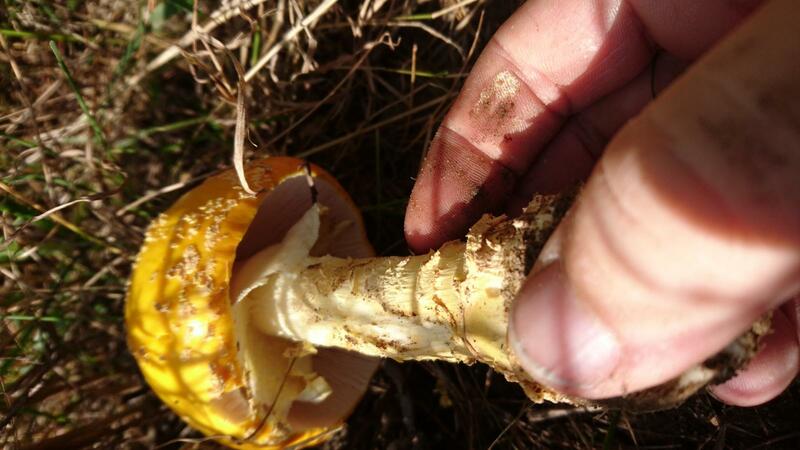 Split a stem in half by tearing or cutting with a knife and get us a nice, still, steady close-up. 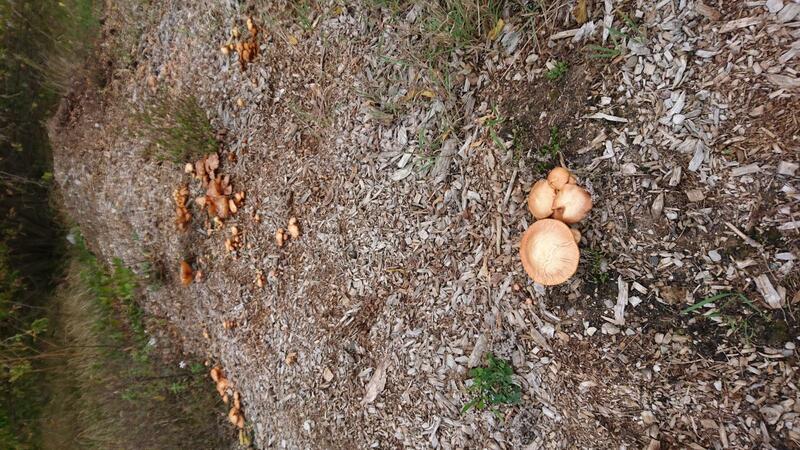 Can you also get a nice, still, steady close-up of the substrate from which they fruit?? Be careful. 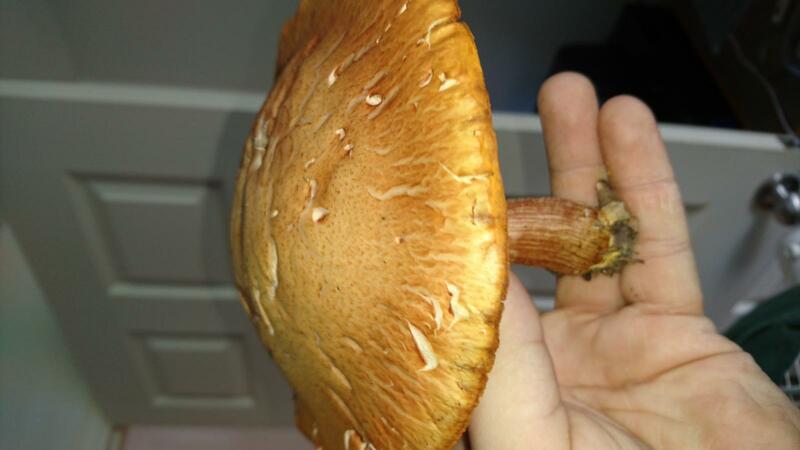 All mushrooms are edible. Some, only once. Microscopy workup can often be the only way to determine what you really have in your possession. Edited by Myc, 16 October 2018 - 10:39 AM.